Shaadi season is coming 'round, and I'm prepping as one does for their board exams. With multiple weddings pencilled into my calendar, and I'm guessing in everyone else's too, the next few months are going to be nothing short of a blur. So, naturally, one's picture gallery would be overflowing with blogger-approved wedding-worthy Indian wear. Most of all, sarees and saree styling tip-offs. In fact, I believe that shaadi season might as well be called 'saree season'. I mean, who doesn't love sarees? It's not every day you can pull one off the hanger and wear on errands or movie dates - duh - so, seize the opportunity and gear up for bringing your A game when the invites start pouring in. It's never too early to start, and this morning, the first of many many inspo screenshots was, indeed, taken, and saved on my phone. 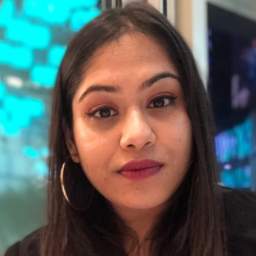 The said screenshot is thanks to Masoom Minawala aka Miss Style Fiesta, a Plixxo super-blogger, and the creator of one of the most beautiful Instagram feeds, like, ever. So, apparently, the pretty young thing attended a wedding last night and decided to bless us fashion girls with her outfit details, this morning. 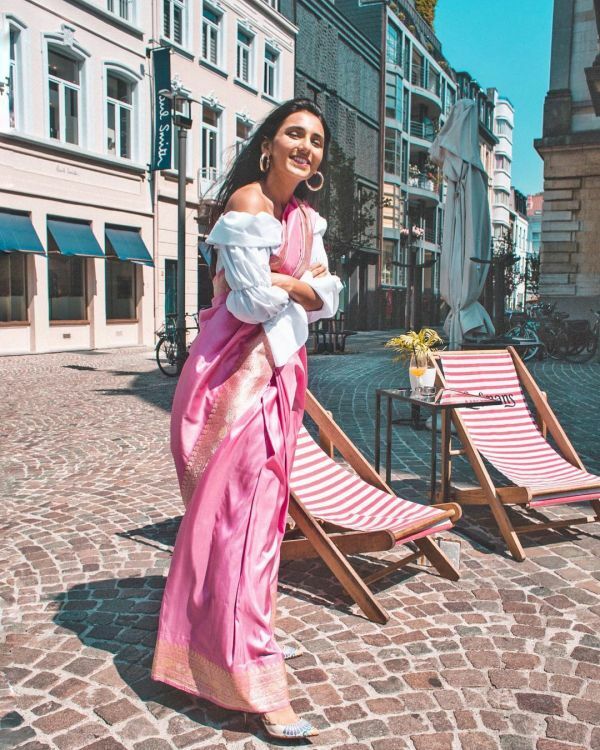 Masoom put on a signature Sabyasachi saree and styled it the way everyone should, this wedding season. Having draped her floral saree the standard way, Masoom belted a compact Bvlgari bag at the waist and added the fashion girl touch it needed. 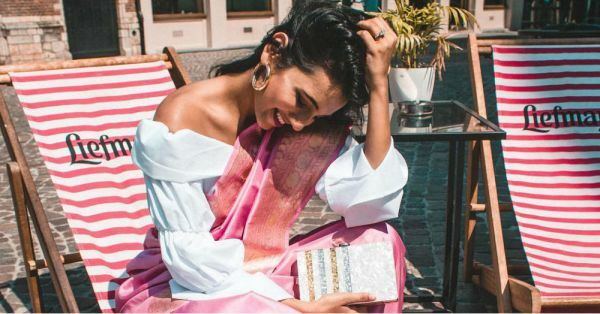 Not only is it an inspired way to add a chic edge to your Indian wear - with the right belt bag, you can level up your suits, lehengas et al - it also takes stuff off your hands. Quite literally, might I add. As Miss Style Fiesta's caption reads - a "Belt bag means more hands to dance" with. 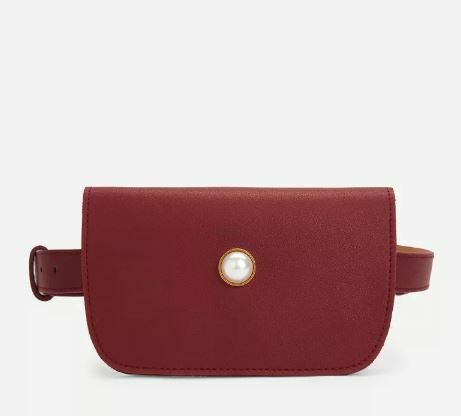 The trick to picking the right belt bag? Choose one that is sleek, matches the vibe of your look, AND the colours of your Indian wear. For instance, if you were wearing a rustic Banarasi saree, a great belt bag option would be loaded with embroidery or mirror work. Your floral day sarees will thank you! Think chiffon, crepe, and georgette. 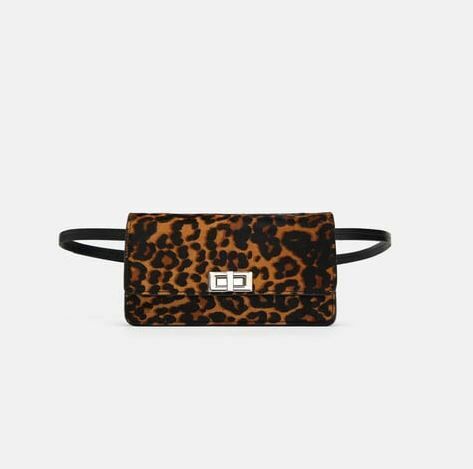 Cocktail nights just got better with this leopard print belt bag. Wear it with your black sarees and watch the style quotient go up a multiple notches. 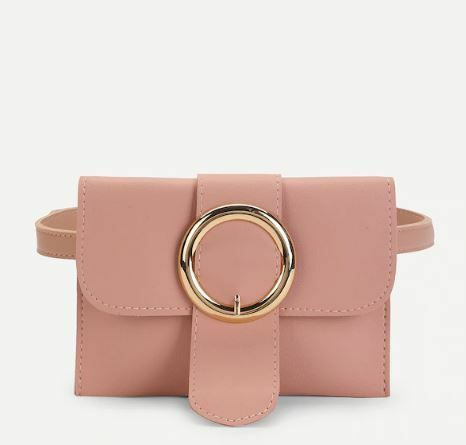 Go the monotone route and pair a baby pink saree with this buckle detail belt bag to nail your shaadi look. Also want blogger approved bridal outfits? Here you go!